River Shepard Photographic Arts is the work of Jennifer Brunjes, a multidisciplinary artist with a focus on alternative process photography. Her work utilizes 19th Century techniques---cyanotype, gum bichromate, and salt print---in handmade reclaimed wood frames. Themes and inspirations are drawn from folk tales around the fire, mysticism at midnight, pre-dawn frost and post-dusk thunderstorms. J.B. holds a degree in Fine Arts from Hofstra University. 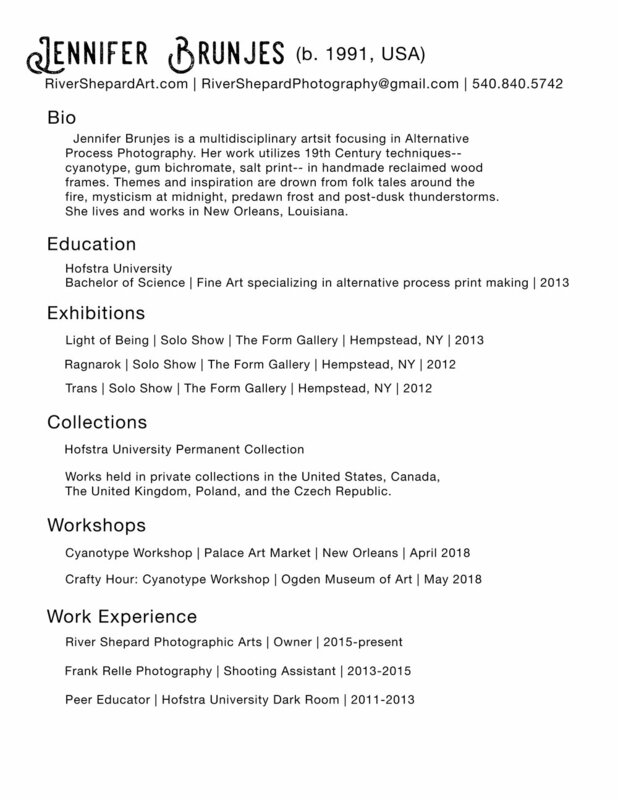 She resides in New Orleans, and her work is from far ranging regions.